Here in the States, Halloween seems to take over the month of October. The stores fill up with bulk candy, haunted houses start popping up and people start planning their costumes. I’ve seen Halloween costumes hanging in store windows since Labor Day. My friends are posting pictures of their pumpkin carvings and I’m trying to resist the urge to purchase Halloween decorations (really, do I need those?). Do people in Cabo even celebrate Halloween? Is it the same thing as Day of the Dead. If I’m bringing my kids, can they trick or treat? Are there any parties for Halloween? 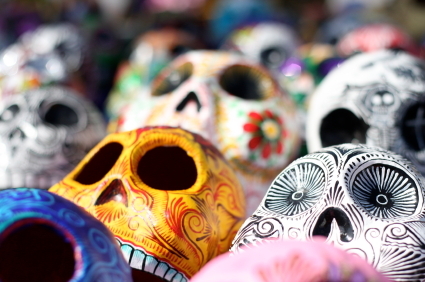 So here’s the guide to Halloween in Cabo San Lucas – what you should know, where to go, etc. While they both usually involve decorating and lots of skulls, Halloween and Day of the Dead (Dia de los Muertos) are totally different holidays. Halloween is much more about partying, dressing up and having fun. It is also more celebrated by tourists than the locals. Day of the Dead, while it does involve some celebrating, is a religious holiday which remembers the loved ones who have passed away. Halloween is October 31st and Day of the Dead is November 1st and 2nd. Yup, pack that cat suit, pirate outfit or cowboy get up. You are going to need it! Most of the party-goers on the day of Halloween are all dressed up. Usually the weekend of Halloween is filled with events, so you might want to bring more than one! There are also a lot of Halloween costume contests throughout Cabo. You can come up with some Cabo themed Halloween costumes or use your own creativity. 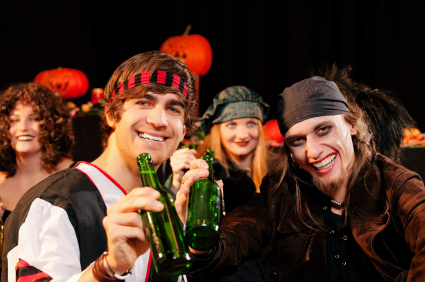 Halloween parties are usually scheduled over the weekend of Halloween. They usually involve fun drink specials and costume contests so dress to impress! Most of the big clubs and bars like Pink Kitty, Baja Junkie and Squid Roe will have something planned for the holiday. Some of the cruises also have special Halloween cruises. Or you can just head to downtown Cabo on Halloween night and bar hop. There will be lots of others dressed in costume. Every year the Puerto Paraiso Mall has a costume contest for kids. Also a lot of resorts have Halloween events for kids, so call your hotel or resort ahead of time to ask what they have for children. Although the honest truth is that there are more tourist Halloween events for adults than kids in Cabo. 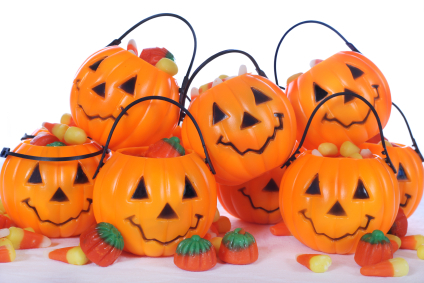 If you forgot to bring some, you can pick up bags of candy at Costco or Walmart. Have you visited Cabo for Halloween? Where did you go?